Charterstone, my village-building legacy game, is the first new game published by Stonemaier Games that didn’t launch on Kickstarter. In fact, there was no pre-order campaign of any kind. Today I’ll discuss the process I used to bring this game to market, as well as any pitfalls, mistakes, and successes I encountered along the way. Why Didn’t We Use Kickstarter for Charterstone? Let’s start here, because usually our publishing process starts with a Kickstarter campaign. Originally, the plan was for Charterstone to be on Kickstarter. I had started to think of ideas for the campaign back in spring 2016. But then we delivered Scythe to backers, and we decided not to use Kickstarter anymore. That link includes the big reasons why Charterstone–or any Stonemaier game–isn’t going to be on Kickstarter. However, even before we made that decision, I’m not sure that Charterstone would have actually ended up on Kickstarter. It’s just not a great platform for a game built around the idea of discovery and secrets. There’s a minimal amount of information I could have divulged on the project page, and the stretch goals would have been infuriatingly mysterious for the backers. Also, getting suitable review copies to reviewers would have been difficult, given the nature of components like the sticker cards. Gauge Demand: I gauged demand for the first print run by polling our e-newsletter subscribers, then retailers, then presenting that information to distributors. Build Community: I created a Facebook group for this purpose, which currently has 5,398 members. I posted a design diary entry in that group every week for 8 months. This was/is a great group to be a part of, completely void of the toxicity I’ve seen all too often on Kickstarter. 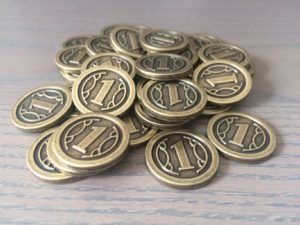 Make the Product Better: I wanted Charterstone to feel like a complete, premium product out of the box, hence the 230 wooden tokens, the special magnetized Index tuckbox, the hundreds of cards with unique art, and the 36 metal coins. Normally these are components that may have emerged out of stretch goals. Generate Buzz: Most of this was organic. A key element was that the Facebook group was open throughout the process, meaning that people could share content in that group, and their comments were visible in public feeds. I also posted a teaser trailer edited by Josh McDowell, with currently has over 25k views. Raise Funds: With distributors asking for tens of thousands of games, we didn’t have enough cash on hand to make what they wanted. So we offered them a small discount if they paid in advance. Many of the international distributors accepted this offer, along with one US distributor. Without those funds, the initial print run would have been much smaller than the 40,000 English copies we made. Ship Effectively Worldwide: By accepting orders from distributors up front, we were able to ship from China directly to each distributor. One other important note is the involvement of our international publishing partners. We wanted Charterstone to have a simultaneous worldwide release in as many languages as possible. This bumped the size of the initial print run up to 58,000 units, which significantly helped with economies of scale of language-independent components (wooden tokens, metal coins, etc). These partners also caught some key mistakes during the translation process. Did It Work as Well as It Sounds? Gauging demand isn’t as accurate as Kickstarter: On Kickstarter, you know exactly how many games to make, at least for backers (beyond that it’s a guessing game). The system I used for Charterstone is accurate in a sense–I made the quantity of games distributors asked me to make–but for the distributors, it’s just an informed guess. Customers prefer a single source for buying stuff: I think it’s frustrating for some customers to have to hunt down a retailer for the product rather than just pledging or pre-ordering it from us. However, I think this problem is somewhat mitigated because many customers already have a preferred retailer, so as long as that retailer lists the game for pre-order, the customer’s needs are covered. The creative process of crowdfunding was nonexistent: One element I really enjoyed about Kickstarter was the creative energy surrounding the project. Backers have so many cool ideas and suggestions to improve the product. Now, I could have used the Facebook group for Charterstone–Kickstarter isn’t necessary for this creative process. Instead I tend to rely more on playtesters and ambassadors for this feedback now. Direct communication is limited: On Kickstarter, at any time you can send a message to every single one of your customers. This is an incredibly powerful tool. Our e-newsletter is fine, but it doesn’t come close to the breadth and accuracy of Kickstarter’s messaging system. 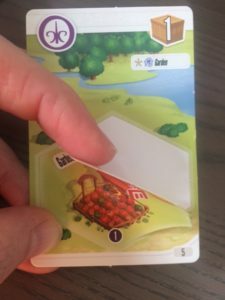 The margins were much smaller: On Kickstarter, Charterstone probably would have been a $59 game with a $10 shipping subsidy built in. So that’s $49 in revenue for each game. Compare that to the $28 distributors pay us per copy. Now, that extra $21 isn’t necessarily profit–instead, at least some of it would have allowed us to make the game even more special. Like, one thing I wanted to add was for the Index to make a triumphant trumpet sound every time you open it to unlock a new component, but the cost of adding the battery, microchip, and speakers was too much based on the margins we were working with. The marketing splash normally created by Kickstarter was greatly diminished: I love that the constrained timeframe of a Kickstarter project shines such a bright spotlight that all types of people discover the project and become engaged in it. I haven’t found a way to replicate this off of Kickstarter. Funding is really tight: Thank goodness for the distributors who were able to pre-pay for Charterstone, because far fewer copies would exist if that wasn’t the case. We simply don’t have enough of a cash reserve to print the number of games to meet demand. Translations add complications: Because we had very tight deadlines for our international partners, we made a key mistake: We sent the final English source files to those partners before sending them to Panda for review. As a result, when Panda found typical issues with things like dielines and bleeds, each individual partner had to fix those issues in their files instead of us fixing them in a single file. This led to the entire proof review stage taking much longer than normal. Are We Glad We Used This Process Instead of Kickstarting the First Print Run? Absolutely. Despite the mistakes and pitfalls, I’m 100% happy that we chose not to Kickstarter Charterstone. It’s significantly less complicated to sell and ship 58,000 games to 30 distributors/partners than it would have been to sell and ship 58,000 games to 58,000 customers worldwide. Plus, that quantity probably would have been much lower. Even on Scythe, a hugely successful Kickstarter project, we only had 17,739 backers. One really nice thing about having distributors as customers instead of backers is that distributors are VERY relaxed about the schedule. They understand that there are so many factors involved in producing and shipping a board game, and things don’t always go as planned. So even though I originally estimated Charterstone as an October release, not a single distributor pestered me when that didn’t happen. My biggest angst about Charterstone is in regards to the schedule. It’s tied closely to some things I would definitely do differently next time. I mentioned earlier that I gauged demand from distributors. Specifically, I asked them to commit to buying a certain number of copies. In that way, I could guarantee that we’d make that quantity, thus allowing them to guarantee quantities to their retailers. However, in September when Panda was supposed to be wrapping up production of Charterstone, they sent me some bad news: Due to several issues–including a major issue with the cutting process required for the sticker cards–Charterstone was taking them much longer to make than they originally projected. Under normal circumstances, I would have asked Panda to focus on finishing the international copies and around 10k-20k English copies. Ship them out, release the game, and continue to print more in the meantime. But because of those commitments to distributors, I was locked into providing specific quantities to each distributor. I couldn’t allocate them, and I couldn’t ship to some distributors and not others. So it created an all-or-nothing situation, and the result was that Charterstone was released in December, not October. December just isn’t a good time to release a game–it’s best to get products to stores before the holiday shopping process begins, not during, both for sales and for shipping reasons. Also, you want to give your game enough time to have a chance to make it onto end-of-year top 10 lists. Print the first run in English only. While the English files pass proof review, send them to international partners to translate for an international print run. Print 20,000 units in the first print run (no distributor commitments). This is enough to meet a reasonable amount of demand, yet it’s not so big that we can’t afford it. If there are issues during the product process, adjust the quantity as necessary or simply adjust the schedule (at this point, no one is invested in a specific schedule). When the game is almost ready to ship out of China, solicit orders from distributors and allocate as necessary. Wait until the first print run passes through customs before declaring the release date. Honestly, I’m just excited we were able to make Charterstone. I’ve heard so many stories of people connecting with friends and family over it and having the moments of joy and discovery I hoped they would experience. I’m also glad that it solidified our relationships with retailers and distributors. They’re the ones who specialize in getting games in the hands of people worldwide, so I’m happy we were able to find a way to facilitate that process instead of circumventing it with Kickstarter. It’s also continued to make me respect and appreciate what Kickstarter has done for the gaming industry. As you can tell, it’s completely shaped the way I look at the publishing process. It’s not just pushing wood and cardboard out into the world–it’s about community, engagement, passion, and creativity. What’s your perspective on this process and the results? If you have any questions about things I didn’t cover here, please ask them in the comments–I’m happy to answer. Why Have a Release Date? I was excited about this game the first time I heard about it (I’m a Scythe collector with all the bells and whistles and we just picked up Viticulture), and my wife and I are greatly enjoying it (and we’re only two games in, just scratching the surface!). I work in City Administration as an Attorney and I’m involved daily in municipal operations so this game is perfect for me as a way to relax. Also glad it wasn’t kickstarted; it’s much easier to just reserve a copy from a local FLGS. Thanks for the great game! Thanks John! I’m glad to hear that it was easier to reserve a copy from your local game store. Awesome insight into the production of one of the most awesome games I have ever played! That is an interesting idea about putting a victory trumpet sound on the index box, I probably would have jumped the first time opening it since board game components don’t make sounds normally! I also love the metal coin tokens, I sat there for a good 5 min playing with them before we started. One insight from a my “backer” perspective is I wish there was an option to get the realistic resources with the base game so that I could play with them from the beginning, which could have been easy if it was kickstarted. All the sites I have seen the resources have been sold out so I haven’t been able to get any yet. We are paused halfway through the campaign partly because of that dilemma. On one hand we want to finish the game because it is awesome, but on the other we want to play with the cool resources and meeples but don’t want to wait (they may be back in stock, I haven’t checked in a while) and we probably wont get the upgraded resources after we finish the campaign. But other than that it is my favorite game I own and the most excited I’ve been for a board game. But from a publisher perspective, so if I read that right, if you were to do it again you would do an English print run first. Does that mean that the English copies would have an earlier release date then the international copies similar to how a lot of video games are released? Thanks! I’m flattered that you’re enjoying the game. :) Yeah, the trumpet blast (hopefully not too loud) was something I was very curious about. It actually wasn’t as expensive as I thought, but it also created space issues, as it would have taken up a fair amount of room in the Index. That’s correct, in the future, the English print run will be released earlier than the international version by about 2-3 months. Yeah I was thinking that it would be hard to fit a device for a trumpet blast in the box. Unless you made the index box look like a chest with a curved top, then you could hide it in there. But I would imagine that would be had to fit in the box. You shouldn’t make such cool tokens if you don’t want them to instantly sell out :) But we will probably finish the campaign and just buy the tokens anyways just because. Who knows maybe we will play through the campaign again with friends. Cody: The curved top idea would work well! I think the game Dungeon Roll has that (but no sound). I think our international partners would probably prefer a simultaneous release, but I’ve mentioned this strategy to them, and they seem to be okay with it. This is why I like and respect you so much Jamey, you don’t rest on your laurels, there’s no sense of ‘this is done, onto the next’. You reflect and learn and strive to find a way to do better for everybody. I thinks that’s tremendous. I appreciate that, Steven. I always hope that someone else can learn from my mistakes (and successes), and I learn a lot by reflecting on what we’ve done in the past. Thank you, Jamey. Excellent info and help. Great input, interesting points to learn from! I had an unsuccessful Kickstarter but now a few distributors are knocking on the door showing interest on the project and now the question is what would be the optimum production quantity…. Excellent analysis, Mr James (I think I do not deserve to call you Jamey anymore, like an ol’ pal of mine). -Ask a programmer for the cost of a (basic) IOS and Android version release of Charterstone’s log, INCLUDING the aforementioned sound. 4. it is optional. Not necessary to play the game, so it remains a boardgame. 6. I used the word “basic” because there are infinite things to add, to your liking. It’s a clever idea, though with one big downside! It would require someone to have their phone out while playing Charterstone. My rule at game night is that there are no phones out. :) But you’re right, app functionality makes something like this much easier and more cost effective. I can see a risk with ‘produce 20k, ship/allocate and solicit distributors when the english first print is going out’: retailers are so swamped with new releases that they tend to operate in ‘fire and forget’ mode. This means they will get and sell a few of the first 20k, and then may nor reorder when the actual bulk of the second print run comes to market. definitely something to gauge and discuss with the distributors. it’s in some ways similar to the issue of having to shine the light on a game twice when kickstarting: once during the campaign, and once again on retail release. Only tougher as it’s retail release twice over. ehanuise: That’s an interesting point about how it may be tough to rekindle the flame after the first print run. My hope is that the original print run will end up creating a lot more demand for the game and that customers will actively be asking their stores to carry it. I think every publisher hopes that, though, and it doesn’t come true for every game. I have all the Stonemaier games, find them fun and was interested in Charterstone, however I currently don’t have a regular gaming group, Busy schedules, and moving I have not found a new one since the last. However I do get together a few times a year with friends and game, and even bring games into work, which I’ve done 3x since starting. My point is that because of this I’ve avoided legacy games, Pandemic, Risk, Seafall. Mainly because what I’ve read of reviews that they fun when played in groups over time where most of the players are the same each playthrough. Its an experience more then any other boardgame out there. Even with that I’ve considered picking it up because I do like worker placement games. There are probably a few others out there like me that if it wasn’t a legacy game would have bought it, and I keep looking forward to your next game, I’m not sure how you can predict this number, but wanted to let you know we are indeed out there. I’m with you on this. I still have an unfinished copy of Risk Legacy due to getting everyone together consistently. I am interested in the idea of the game continuing even if the players/player count cannot (risk does this but takes so much out of the game that it kills the experience). I’m under the impression that Gloomhaven does it better, but I’ve never played. I too am excited about legacy experiences but don’t want to loose steam on the game or be held back by schedules. I don’t necessarily see this as a designer problem, but it is a player issue. Sean and Chad: That definitely makes sense about campaign games of any sort that rely on you to get together with the same people over multiple sessions. Charterstone has a workaround for it–Automa can represent players when they’re not present–though the ideal experience is to play with the same people. I applaud what you’ve done. I don’t agree with not using KS in the future, I understand that not all projects make sense for KS, but also, kicking it out while still writing blog posts on how to KS doesn’t make sense to me. Projects such as 7th continent and mechs vs minons are able to offer more to the customer for less $ if either were in retail it wouldn’t hit those numbers. In the end you are able to offer less value to the end customer by not using KS. I just believe there are lots of in-inefficiencies that KS and direct to customer offerings help. TIme will tell as more publishers go to KS on or cut out different layers of process. I always thought the way to view the backer was as a mini-retailer, and I just advise that you use caution moving forward and don’t get blindsided. You’re printing rather large print runs. 1 mistake and KS does an wonderful job of gauging demand, were as a game can sit in distributors shelves for years and then get slashed in value almost over night. Jason: You really think we’re offering less value to customers by not using Kickstarter? well, marginally, yes, For Charterstone, i’m not sure, for the expansions to scythe it felt that way. it maybe all perception as well. I’ve heard that games like 7th continent and mechs vs minions couldn’t be sold in normal channels due to their high costs would be 1.5 – 2x what they were listed on KS. I just think there are times and reasons where KS still offers value, there is waste introduced into the system when dealing with shipping multiple promos/etc when one would possible simply pledge a flat amount and get all said promos. I understand what happened with the fulfillment of scythe most of which you probably never made fully public, and the stresses that popped up, I just think there are alternatives. For invaders from afar, getting the expansion at KS price plus shipping 25-30$ or so would have included promo dials at the minimum, possibly coins, maybe more, i don’t know. now maybe the consumer can get both for same price but they’re not in the same distribution channels so what would normally be offered in KS isn’t available at everyone favorite retailer. But for the fans of your games, that want everything, yes I think they have to pay more $ to get the same value because their’s more middle men involved. That again may all be perception. Maybe wind gambit could have had the new box bundled at a cheaper rate, i doubt this one, but I maybe dead wrong with all this though. I’m just trying to give you some feedback, and honestly concerned of an over run print run i hear about, that KS insulates you from. I think there could be a way to mitigate the pain you received from fulfillment in the past, such as have a single distributor handle fulfillment, taking you out of it, obviously this would increase cost, but is just an idea. I appreciate the risk mitigation of making too many copies of a game. It certainly is a risk. But I have to balance that against the immense risk created by shipping tens of thousands of games to individual customers. Part of that is the fulfillment risk itself, and the other part is the damage we’d do to the strong relationships we’re building with distributors and retailers. I’m not saying we’ll never use Kickstarter again. But it’s a last resort for me. For charterstone, the upgrade pack being included may have been only thing, but i don’t know of legacy games lend themselves to the KS model as much other than being able to accurately predict demand. While I’m not looking at my copy thinking “this would have been better on Kickstarter”, I am thinking “this would be cheaper on Kickstarter”. Most stores in the UK are charging 60GBP shipped, which is 81USD. (Note that’s at a discount on the 75GBP suggested retail price, but no one is actually charging that). I’m aware this is a situation unique to those outside the US (I see many compaining about KS projects in the US costing less at retail than they backed for, which is never the case here). I don’t really know where the extra cost comes from, I guess it’s just market differences- games are more expensive here. KS let us pay the “US price”. But the end result is that we are about 40% more for your games now. It’s not put me off Charterstone but it has kept me away from the Scythe expansions. The realistic resources are even worse. 27.50GBP plus shipping for the Charterstone set, which is 37USD. There’s only one UK retail partner for these so there’s not even any competition. So yeah, I am genuinely glad it’s worked out for you and after the issues with Scythe I don’t blame you. It’s what I would do too. But let’s not pretend this is great for the customers, at least not the international ones. And it really makes me a little sad that I’m paying 40% more for Charterstone and you’re making 40% less per copy sold. Dean: Thanks for sharing your thoughts on pricing. I agree, it’s a really tough balance/compromise–it’s tough to maintain good retail relationships if we undercut them on Kickstarter, but at the same time, Kickstarter often allows companies to offer better prices for customers. I think part of it comes down to value: When someone pays $70 for Charterstone, do they feel like they got $70 in value? Great article as always Jamey. I really like your decision to not promote a legacy game on Kickstarter as too much information on a Kickstarter campaign could ruin the game experience for players later on. And as you said a big part of a Kickstarter is getting creative with the community, something hard to do without sharing too much information for a legacy game. Some questions indeed go through my mind when reading the article. Feel free to ignore any question you wouldn’t like to answer :) (I understand that not every question is meant to be answered publicly). 1. Would you say that making a legacy game and kickstarting it as a first time publisher would be something you should avoid? 2. Do you think that the distributors were more “forgiveful” for the delay, because they know you are reliable and trustworthy? Did the contracts allow such a delay or did you have to make an annex? 4. Would it be better to release the game in January if you had the chance to do so? I want to specifically connect this question with the impact on sales a game gets when they get on a public influencers top ten board games of the year list. 3. Why don’t you sell your games directly through your website as well (increased margins)? Is it just too much logistical work where you would lose time for other tasks? 4. Going forward, where you’ll make 20.000 copies as your initial run, will you make it “first come, first serve” for the distributors? –Well, I’m hesitant to say that anyone “should” do anything. I felt it was the right choice for me. I think the type of legacy game that could work on Kickstarter is one that is scenario driven without a set story arc. That opens up a lot of possibilities with stretch goals. Like, if you have a great game with 10 scenarios, but the game could also be just as great with 15 scenarios, then you have some stretch goal opportunities there. Check out the Legends of Sleepy Hollow campaign and the original Gloomhaven campaign for some ideas–they’re not legacy games, but they have some of these concepts. –I think that was probably part of it, as they were aware of our track record. I also got the sense that they just didn’t think about it much, as they deal with so many different clients. We didn’t have any official contracts, just a written commitment. –January isn’t a bad time to release a game, but I think the holiday season is too important of a time to pass up as a publisher. As for top 10 lists, I don’t think a January release is particularly helpful, as people often forget about games released early in the year by the time they’re making their lists (unless they’re still playing those games, which doesn’t work well for legacy games). –We actually do sell through our website, but we don’t sell much that way, as we sell at full MSRP. Part of our relationship with retailers dictates that we don’t sell our own games at a discount. –This is where you might have heard the term “allocation.” If distributors want a total of 25,000 games, each distributor might get 80% of their desired quantity instead of the full 100%. Hi Jamey, thanks for sharing all this information. With this model is it even possible for you to know how many copies have been sold to customers at retail? Do retailers update distributors, who then update you? I would imagine it would be difficult to track this. Has 20k copies been sold so far? I read you went with a low-key hype strategy this time. Do you like the level of hype around this release or would you try to create more on your next release? Gerald: That’s a great question, and no, I have no idea how many copies of my games are actually bought by people (or even retailers). All I know is how many copies distributors have bought from us. So all I know for Charterstone is that I’ve sold 40,000 English copies to distributors–I don’t know how many of them have been bought by retailers or consumers. Ah, hype. :) I’ve actually never gone with a big-hype strategy. Hype, in that definition, is when a company boasts about something, like when they tell people that they’ve made the best car or the best phone. I’ve always tried to be very careful about not qualifying our products. I simply tell people what the product is and the story behind it (and my design intent), and I let them decide if it’s fun or beautiful. That is what I meant about hype: with Charterstone you tried to lessen the the negative aspects of natural hype/passion from lessons learnt from Scythe. But from a business perspective is it worth dealing with that small percentage of negative passion if the massive passion, generated from a prolonged marketing campaign, increases sales by a large multiplier? I’d like to avoid is the “us vs them” mentality that hype can create. With Scythe, it wasn’t a small percentage–it was a lot of very vocal people (most of whom hadn’t played the game, though some had)–who were actively bashing the game simply because there was another group of people who were vocally passionate about the game. I think it was really toxic, and I doubt it helped sales in any way. Sure, I want to create games that people are passionate about. But there was something about Scythe–especially the summer that Kickstarter backers got it–that wasn’t healthy. I’d like to avoid doing that again. I’m really sad about the toxicity that Scythe received via KS. It was unbelievable. A well-run KS, excellent communication, delivery either slightly early or on time … and still people weren’t satisfied! LCK: Indeed, it was disheartening. Even though it was only a small percentage of backers, it still amounted to hundreds of people treating each other very poorly. I’ve always loved this about your approach to your games. It’s always nice to be talked about but nothing beats having a solid product that’s been well designed and playtested. The game should always be able to speak for itself. Ivan: I completely understand that! That’s a challenge with any campaign game that recommends you play multiple sessions with the same people. I have an idea that will give you a very accurate figure, more accurate than BGG. 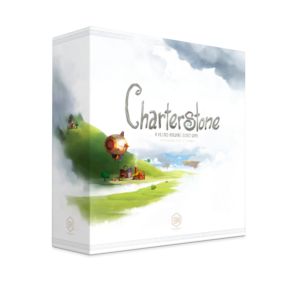 You could email all the retailers on your retailers list for Charterstone, explain who you are and ask them how many copies they ordered (in total), and how many do they have left. If 30 reply back then you can use the mathematical formula (The law of Large Numbers) suggested by Harry Haralampidis. In addition this will also give you more insight into the owned numbers on BGG for other games by comparing more a more realistic and reliable number of Charterstone owners to what BGG says for Charterstone. Gerald: I wish that were the case, though it’s not so simple. :) I could email the retailers on my list, but they’re but a fraction of the total retailers in the world (and I don’t even know how many retailers there actually are). Also, even when incentivized with free product to fill out a short survey, only about 20% of the retailers on my mailing list typically reply. So it’s possible that I could get some data, but it would be difficult to learn much from it. It looks like there are more than 100 retailers on your Charterstone retailer list. So you could get 30 replies (even without a reward) as it is just 2 easy figures you are asking, that they probably know off the top of their head (at least 30 of them might). A mathematician and scientist might agree to disagree with you and say the formula below does work with just 30. With a few roles of dice a mathematician can accurately predict (being out by a tiny percentage) how many 6’s will appear after a million roles. Anyway, it might take you a day to fetch all those emails, and it really comes down to how much you want that info. I just thought I would present the idea you really would love to get a better picture. That’s a good idea! I’m guessing that represents a small % of people who actually own the game, but it’s something to work with. Like, with Scythe, there are 147,000 units in circulation (though not all of them are necessarily owned. We can compare that to the “owned” number on BGG, which is 31,000 (about one fifth of the actual quantity). Ever think of doing your games through distribution channels as normal, but putting a corresponding premium package as a parallel release? Premium components and the like have smaller more niche crowds, and could be a sweet mix of both worlds. I always look to get a premium experience from games i enjoy and this would be sweet. Billy: We kind of did this with Charterstone’s realistic resource tokens and the recharge pack, though it could be expanded. One method would be to do as you said: Make the game, make a separate pack to deluxify it, and sell both to distributors at the same time. It’s fine, though I think it complicates things–it’s easier to put everything the box like we did with Charterstone (the metal coins). I have a few thoughts reading through your thoughts. There is a little bit of a dual-edged sword with board game supply. By printing such a large run, you have all but guaranteed that people who want the game will be able to get it, but I have seen comments to the effect of, miniature market still has 300 copies in stock, this game must not be that good or they will just wait until it goes on clearance. There is an expectation in the board game world, that really good games will be very difficult to find for at least the first 6 months. This builds hype and may lead to increased sales, though you also loose the sales of people who give up waiting and buy something else. The same thing happened with Pandemic Iberia. Zman advertised that they were doing a one-time printing of 55,000 copies. A lot of people assumed that it was a gimmick and said that they would buy it on the clearance rack. If you look at the bgg ratings for Pandemic Iberia, it’s in the top 100 right now, and people seem to really like it (I think it’s really good). I think that Charterstone is going to probably end up being well received by gamers in the long run, but I don’t think people will talk about it near as much as highly desired games that have been hard to get. like Scythe or Gloomhaven. Though that may not be a fair comparison, and I can’t prove causality. I think one place with room for innovation would be in decreasing the time that games are out of stock. With 20,000 copies there will most likely be shortages of your next game. Could you use some of what you did here to get games out faster? For example, you could allocate your first 20,000 copies to distributors based upon total demand. I would assume that you could do this while they are on the boat. After that you could ask distributors if they would be willing to prepay to get guaranteed copies of the next run. I would limit the number that they could prepay for based upon production capacity. While the first copies are on the boat, you could be printing the second set of copies and get them to be just a few weeks behind the first set. I have never manufactured anything before, so I don’t know when payments are made, or if such an agreement would be possible, but I think both from a marketing and gamer satisfaction perspective, that if you could reduce the time between the first and second printings that would be a huge win. John: I think this is a very acute observation: “There is an expectation in the board game world, that really good games will be very difficult to find for at least the first 6 months. This builds hype and may lead to increased sales, though you also loose the sales of people who give up waiting and buy something else.” And not just that, but if you don’t make enough, you end up with consumers, retailers, and distributors mad at you that you didn’t make enough. Print 20k games. Advance copies are air freighted from the printer to me in early May. I send them to 10 reviewers, and in early June their reviews go live. That’s around the time the full quantity of games get on the boats, meaning that they’ll be released to the public in early August. When those early reviews are released, if retailers get a ton of pre-orders from customers, distributors tell us they want more than the 20k copies we made. So maybe we start a second print run at that point (another 10k copies). The result would be that the first print run releases in early August, and the second releases in early November. I don’t think distributors would prepay unless we offered a discount, though, and our margins are already tight. So we would need to have enough cash on hand to make this happen, and even by using the reviewers to gauge demand, there’s still a substantial gap between printings. Fascinating post and discussion. Thanks (and happy new year) to all! Jamey, I am glad that you used neither trumpets nor KS for Charterstone. I think that the trumpets would have quickly become annoying to me, to other players, and to non-players near the game. There are a variety of argument against KS for Charterstone and for Stonemaier. – not suitable for a legacy game, because backers understandably want to know a lot about what they’re backing. – big KSs seem to grow a toxic fungus-like substance. If I’d had the exposure to that fungus that you did during the Scythe campaign, I’d have needed a session with a punchbag followed by a long shower to work off and wash off the effects of the fungus. No customer or partner has the right to expect you to venture beyond your toxicity threshold. – I wouldn’t have been able to back the KS. Since there was no KS, I don’t feel I missed out. Andrew: I’m sure you could have disabled the trumpets by removing the battery. :) At least, I hope that’s how it works! Hey Jamey! Just passing by to say that, as an international customer, I’m glad you chose to work with publisher Ludofy here in Brazil. I’m pretty sure you don’t recall (and I’m ok with that since I know you answer A LOT of questions from customers everyday), but I’ve asked once at BGG for the card files of Viticulture in order to translate it and make the game playable with my family (I’m the only english speaker at home hahaha). A few weeks later I heard about Ludofy bringing the game to Brazil. Great! I sold my copy as soon as I saw the news, just to support this local initiative. Yesterday I’ve finished the game #1 of Charterstone (also from Ludofy), and could not be happier. Can’t wait for the Scythe expansions to come out here as well (and maybe Tuscany EE in the future). I know this comment is not related to the topic, but I just wanted to thank you again. Your products are great, and your customer support is simply awesome. Keep up with the good work! Jamey, I always enjoy reading your thoughts on Game design, Kickstarter, etc and it was no different this time around. I realize I’m probably a far off outlier, but I’ll definitely say that I was disappointed that Charterstone did not have it’s debut on Kickstarter. I love supporting Kickstarter projects (to the tune of 364 board game projects supported to date) the opportunity to engage with the designer along with other interested supporters is in and of itself great fun. Probably unsurprisingly, my current favorite games originated on Kickstarter and I know a big part of that is the entire process of which I was able to be a part. I now purchase very few games from traditional retail means, there’s not a good “friendly local game store” where I live and I don’t like the impersonal nature of the Coolstuffs and Miniature Markets. Consequently while I was an enthusiastic supporter of Euphoria. Between Two Cities and Scythe, I’ve been unable (well, mostly unwilling with my reticence for web retailers) to get the expansions for Scythe and similarly now Charterstone. I understood your frustration with Scythe fulfillment and am empathetic, but I remain hopefull that someday your “ends” will make use of my preferred “means” as supporting each of your projects was each an exceptional experience. Kristian: Thanks for sharing your thoughts! I found this interesting: “the opportunity to engage with the designer along with other interested supporters is in and of itself great fun.” I’ve found that I can achieve that same goal even more effectively via game-specific Facebook groups than on Kickstarter. Have you tried any of them? What’s your experience with them? I have a Facebook Page, but I rarely engage with people through that medium beyond family. Mostly because I’m uncomfortable with the public permanence of social media. While this apprehension may inform my opinion of the media as a substitution for a Kickstarter-esque engagement, I do believe facebook discussion (or discussion on BGG or even a site like this one) falls significantly short in building the feeling of collaboration that Kickstarter uniquely provides. There is an otherwise unmatched feeling (when talking about purchasing a boardgame) of “working” together over the course of a campaign when people are putting their money where their mouth is. We collectively (the publisher, designer, creator, the artist(s), supporters, etc.) are reaching milestones together, and we can each see in real time the impact of our collaboration, often in many ways, but at the very least in the amount of money being raised. We in collaboration see the fruits of all the individual’s labor cultivated over the course of the campaign, developing through production, harvest at fulfillment and finally have the opportunity to “taste” and experience those fruits in our homes at game night with our families and friends. Amongst any of the possible ways to purchase a product, Kickstarter provides truly unique opportunities and experiences. At least for me, purchasing from a web retailer or store, even for a game or expansion I’m confident I’d like, is not anywhere close to as appealing. Thank you for the links! I hadn’t read parts 3 and 4 yet and it had been a while since I read part 2. I can appreciate the work you continue doing to engage your customers, I sincerely hope for continued success for you and your business, but at least for me (and I’m just one customer) I’m definitely missing the boat. I think there are several factors that play into this, the big ones are probably the missed collaboration over real time fundraising and secondly something struck me that Joy mentioned about Kickstarter being the central spot for engagement, which for me includes discussion, information, supporting the creator directly etc. It made me nostalgic and a bit sad to read and realize it’s been 2 years since I purchased something from your company, on Kickstarter, Stonemaier games were “can’t miss,” I was a day 1 Art Connoisseur Scythe backer and I have yet to get either of the new expansions though we frequently play your excellent game (no one carries them around me and there’s little less personal about buying from one of the e-shops). I’m not sure if my feedback is in any way constructive, I don’t intend to come across as “Blame-y” as though “I’m not buying your games and it’s your fault, fix it!” I have only had positive experiences participating in your campaigns and playing your games, you design an excellent product, produce it exceptionally, stand behind it, draw back the curtain for the benefit of others and have handled your business in every way I’ve seen with grace and integrity. In short your business is the epitome of one I intellectually want to support with my dollars as well as my words, but my (own) lack of engagement (likely in spite of your efforts rather than their lack) has me missing out (just like with many other retail games I’m sure I’d enjoy too). Glad to see Kickstarter being left to the ‘little guys’. The group I game with strongly feel KS is for small startups, people who don’t have the capital to commit to the traditional process. I think SM made the transition away from KS at the appropriate time. There are reasons you don’t see Z-Man, FFG, Asmodee, Hasbro, et al. on Kickstarter. They are mature businesses. However, that doesn’t stop some companies from undercutting distributors and weakening the brick-and-mortar ecosystem (cough, CMON and Queen). I didn’t mind buying Charterstone in December, in fact I didn’t hear about it until November. Thanks for sharing your opinion! I think it’s important to keep in mind that just because a business is big doesn’t mean they have cash on hand to fund new products. And Kickstarter is about more than money–it’s about building community, gauging demand, generating buzz, shipping effectively, and making the product better. Those are things that are good for companies big and small.